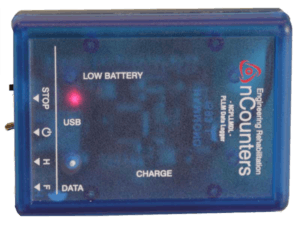 nCounters™ Engineering Rehabilitation is a Melbourne based Australian company that develops, designs and manufactures innovative electronic biofeedback rehabilitation therapy and treatment devices. 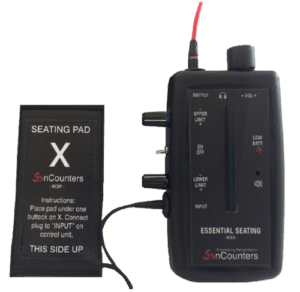 Essential Angle Seating Sensor for immediate audio visual feedback on seating posture and seated weight shift. How useful can an intelligent walking cane be? A portable wireless device for audio / visual feedback and analysis on weight bearing by using in-shoe pads. For comprehensive data analysis on gait — just use our data logger — choose your file and our specially written Excel macro → all the graphs and analysis you will need. 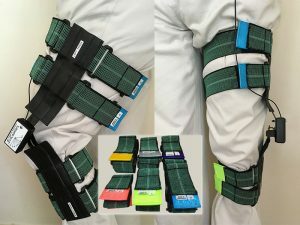 "Our products aim to improve healthcare outcomes for patient with an acquired brain injury such as a stroke, lower limb amputation or for patients following orthopaedic surgery where partial weight bearing is critical for a good result." How we design for biofeedback. It is easier to influence users/patients by addressing specific rather than general behaviours. Effective feedback should be actionable, demonstrating a way to fill the gap between current and desired actions. Our designs give feedback to the user of specific behaviours so the goal is kept constantly clear to the user and medical specialist / therapist who can provide instructions for how to achieve the goal. Studies have shown that this form of biofeedback will assist patients to reach their treatment goals in significantly less time. Portable Limb Load Monitor_Touch (PLLM_Touch) provides audio and visual feedback and analysis on weight-bearing during gait. 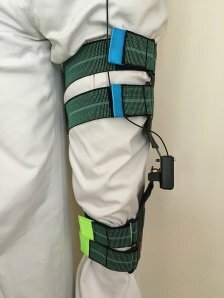 Conditions assisted by the PLLM_Monitor Touch may include Acquired Brain Injury, Stroke, Neurological conditions as well as amputees and those required to partially weight bear while recovering from orthopaedic surgery. Intelligent Walking Cane (Force Cane) provides vibratory feedback on weight-bearing. 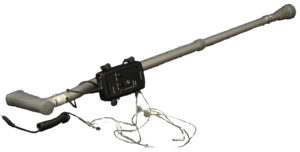 Auditory or vibratory feedback on weight through the Force Cane. Appropriate for neurological and orthopedic pathologies. Assists with gait retraining by providing feedback using a pressure sensor embedded in the cane. Essential Seating Feedback provides audio and visual feedback on seated weight shift and posture. 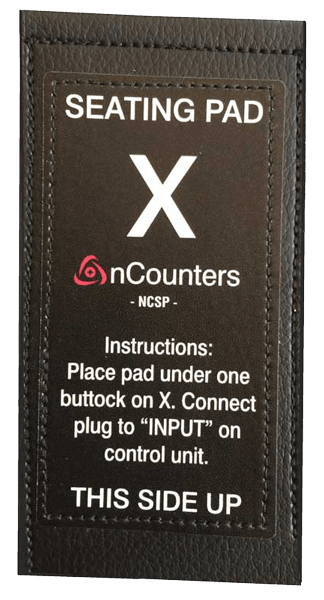 When the patient’s weight moves off the seating pad the patient will receive audio feedback via a speaker or headphone. If the patient is seated correctly, there is no feedback. Real time feedback is provided by a 10 coloured LED display. Data Logger records and graphs data on weight-bearing during gait. Essential Angle Sensor provides audio and visual feedback on joint movement for hip, knee, elbow. Designed to improve joint control in various positions. Angle sensor can be placed over the knee, hip and the elbow using straps. Portable, easy to set up for use daily during rehabilitation. Real time feedback is provided by a 10 coloured LED display.